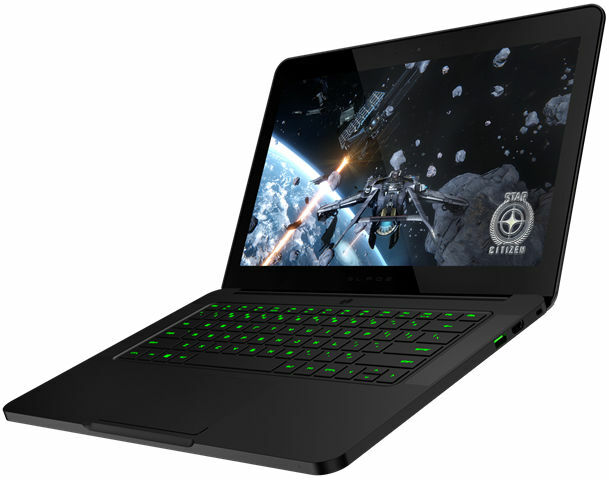 Razer recently announced their latest and upgraded Razer Blade gaming notebook now armed with the latest NVIDIA GeForce GTX 970M discrete graphics processor. It is also powered with an Intel Core i7 Quad Core Haswell processor and a fast solid state drive as its storage. The Razer Blade 14 also features a nice 14-inch display with IGZO technology and a stunning QHD+ 3200×1800 resolution. Check out the rest of its features, specifications, price and availability from the official release below. The new Razer Blade comes with the latest NVIDIA® GeForce® GTX™ 970M (3GB GDDR5 VRAM) and state-of-the-art IGZO (Indium Gallium Zinc Oxide) display panel technology providing unmatched color and image quality. The ultra-portable laptop features 16GB of fast 1600MHz DDR3L memory and includes solid-state storage with options for up to 512GB. With speeds of up to four times faster than traditional notebook hard drives, the system boots quicker and launches games faster. The NVIDIA GeForce GTX 970M with 3GB VRAM is powered by the next-generation NVIDIA Maxwell™ architecture, which delivers increased performance, advanced graphics technologies and improved power management. With NVIDIA Optimus™ Technology the Razer Blade automatically transitions between NVIDIA graphics and Intel HD Graphics 4600, seamlessly and in the background, improving performance and battery life. The Intel Core™ i7-4720HQ processor, typically found in larger notebooks, gives the 14-inch Razer Blade 2.6GHz of quad-core processing power and Turbo Boost speeds, which automatically increases the speed of active cores up to 3.6GHz. The Hyper-Threading technology provides eight virtual cores for improved gaming performance. The Razer Blade’s performance is driven by the engineering principles of localized heating. Dedicated thermal engineers at Razer designed the Blade to direct heat away from the main touch surfaces, sending it to areas that can dissipate heat quickly and are not commonly touched. This allows the Blade to pack in the highest performance possible in a notebook that is thinner than a dime. Housed in a precision-cut CNC aluminum chassis, the Razer Blade features a custom-designed track pad and backlit gaming-grade keyboard that has anti-ghosting capabilities and programmable keys powered by Razer’s revolutionary Synapse software. The 14-inch Razer Blade embodies Razer’s continuing drive to design the world’s best gaming laptops for those that need insanely powerful performance, the thinnest form factor and the highest resolution screen to game anywhere, anytime. The new Razer Blade is also available in a non-touch Full HD configuration as a Razer Store exclusive on Razerzone.com. Featuring 8GB system memory and an IPS (In-Plane Switching) display running at a 1920 x 1080 resolution, with amazing color reproduction, wide viewing angles, and an anti-glare matte finish. The Razer Blade 14 QHD+ model starts with a manufacturer’s suggested retail price of $2,199. Meanwhile the Full HD IPS model starts at $1,999 USD. Below are the expected release dates or availability for both models. In a related story, the previous generation Razer Blade 14 with GeForce GTX 870M, Intel Core i7-4702HQ and 14″ QHD+ (3200×1800) Capacitive Touchscreen, got a price mark down. Its original retail price is around $2,399.99, now it’s down to $1,999.99 at B&H, giving you an instant $400 savings.